Increasingly, more mobile users want to make calls and use a tablet without carrying two devices. In the next month Apple will release a new line of iPads, some think an iPad Mini with cellular calling capabilities will be released while others think the iPhone 6 Plus is an indication that’s not going to happen. Samsung just announced the Samsung Note 4 and Nokia has a phablet coming out as well. The Galaxy and Note series of Samsung devices is well worth exploring. 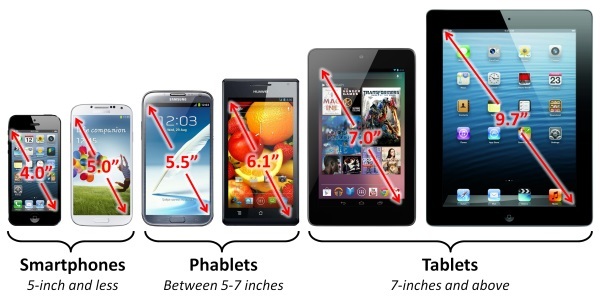 The Phablet is the way to go. You can use it as a tablet if needed, read email and work if your at a closing. I love the Note 3. I say get an earpiece and upgrade to the Phablet.